In March 2015 Will Varley walked out on stage at the Royal Albert Hall, shortly after signing a record deal with independent music champions Xtra Mile Recordings. His last album POSTCARDS FROM URSA MINOR was received extensive national airplay, with The Independent describing it as “A gem of a record.” For the 28 year old folk-singer however, the road to The Albert Hall began in the early 2000’s whilst aimlessly busking around London with a fake id, writing hundreds of songs and playing two or three open mics a week. Varley was a regular at numerous acoustic nights and folk clubs throughout South London from an early age, and spent most of his teens travelling around the capital looking for places that would let him play a few songs. In his early 20’s Varley moved to Deal, Kent enticed by cheap rent and great pubs. There along with a number of musicians he helped set up Smugglers Records, a collective of like minded independent musicians who help each other release their own music. Since it’s inception the collective has been instrumental in starting the careers of numerous artists as well as putting on their own sell-out music festival deep in the Kent countryside, not far from the sea. In 2011 Varley recorded his debut album ADVERT SOUNDTRACKS with Smugglers, and then set out on the road and walked a hundred and thirty miles with a guitar and tent on his back. Starting the walking tour at London Bridge he headed south east, strolling through the rolling hills of the Kent wield and singing songs to whoever would listen. He slept in barns, camped at the side of canals and played gigs in the corner of crowded pubs. By the time he strolled back to deal, despite the blisters and the aching muscles, word of his album had begun to spread and he had many a story to tell. Varley’s live performances have become more and more anarchic over the years. Audience interaction, surreal improvised comedy between songs and chaotic stunts like playing two songs at the same time are now more often than not included in his shows, though he will just as quickly deliver a melancholic and heart-breaking ballad or a fiery protest song as he will a shaggy dog story or an amusing talking blues. After self-publishing his first novel ‘Sketch of A Last Day’ (reaching No.1 in Kindle’s Political Fiction category) and almost two years of relentless gigging, including shows at the Occupy London protests & The Bank of Ideas, with the help of David Hatton Jnr. (of the band Cocos Lovers), 11 new songs were recorded in the basement of an old smugglers cottage in Deal. Outside the coastal wind rattled the doors and windows, fresh off the English Channel. In between sips of Glen Moray and glasses of red wine the pair drafted in a number of musicians to help record an album that was written partly on the road and partly in the smoking areas of Deal’s countless public houses. Though still littered with his trademark humour, ‘As The Crow Flies’ was a darker, more mature album which saw Varley’s poetry take centre stage, from the brutal honesty of the album’s title track, to the swaying cynicism of ‘Weddings and Wars’ in which he attempts a history of the world in under four minutes. A second walking tour followed the release of As The Crow Flies, which saw Varley travelling 500 miles along England’s south coast, with a guitar on his back, entirely on foot. After the tour Varley played a sold out show at London’s Bush Hall. A couple of extensive tours with Beans On Toast helped to introduce his music to a whole new audience whilst gigs in Ireland, Belgium and Switzerland also saw Will take his first steps outside of the UK. 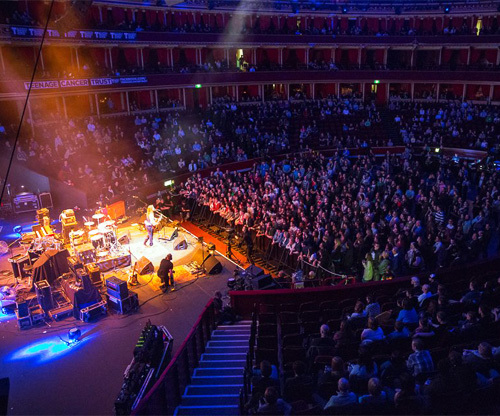 On March 29th, the troubadour stepped out on stage at The Royal Albert Hall. About an hour before this he’d signed a deal with Xtra Mile Recordings, who are behind the success of acts like Frank Turner, Beans On Toast and To Kill A King. Less than a month later a digital only EP was released which Varley recorded live at one of his favourite music venues. The resulting EP ‘Will Varley: Live at The Lighthouse’ peaked at number 14 in the iTunes Singer Songwriter charts. The summer of 2015 saw Will supporting The Proclaimers on tour across the UK as well as performing at a long list of UK festivals including Secret Garden Party, Bestival and Green Man. He also spent much of this summer recording his third studio album with Tristan Ivemy producing. The album was released on October 30th to much critical acclaim and radio play. Soon after the release Will set off on a huge tour opening for Frank Turner, culminating in show at London’s Alexandra Palace. In early 2016 Varley toured Germany, Austria, Switzerland and the USA opening for Frank Turner and in March he embarked on a huge sell-out headline tour of the UK. The Spring saw him touring once again with The Proclaimers and he also opened a handful of shows for his life-long hero Billy Bragg across northern England. Over the summer he performed at numerous festivals including triumphant sets at Cambridge Folk Festival, Bestival and Glastonbury.After another huge tour of the USA in the Autumn, Varley released his 4th full length album KINGSDOWN SUNDOWN to much critical acclaim including a great review from The Independent. 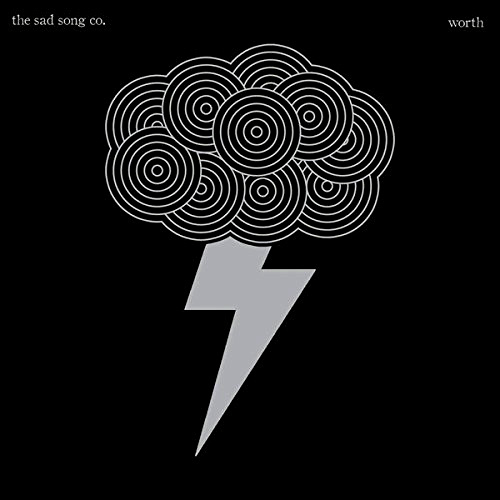 The record reached number 26 in the Official Independent Album Charts. Following the release Will returned to the UK for another headline tour, culminating in a huge sell out show at London’s Union Chapel. He finished the year with headline outings to Ireland and Germany with further sell-out shows in Belfast, Hamburg & Berlin. Here’s a UK based singer-songwriter who has grown organically over several years through his own efforts, adventures, and love of his craft. This is Varley’s fifth album and for the first time has used a full backing band - to great and distinctive affect. ‘All Those Stars’ opens the album and I can’t help thinking that I’ve heard this vocal style and tone before, so while a very good voice it’s not distinctive. The song also leaves me thinking that I’ve heard it before and as an opening gambit it fails to inspire. ‘Seven Days’ is better with a stronger melody and lyrics that are more clearly heard. Choruses are also more interesting and radio-worthy. The generic style is Americana/folk-rock and welcome. Next track ‘Screenplays’ represents a further improvement as it slows pace and feels more intimate with a strong emotional underbelly, and lyrics that hit a home run. It’s my pick so far…’Breaking The Bread’ is next and attracts with it’s stripped-down instrumental backdrop, and lyrics which are simple but highly effective. Varley’s voice is expressive and beautifully in tune with the song’s homespun, moving sentiments. The late entry of violins is a master stroke. ‘Statues’ has a stronger country folk feel as it moves at deathly pace with a drum rhythm to match. But there’s also a very strong melody and another very expressive vocal that completes an utterly beautiful song. 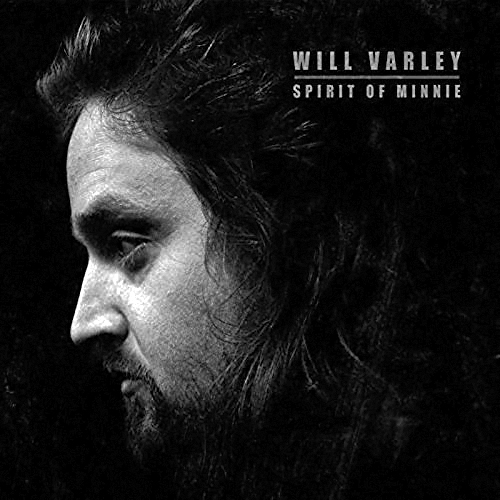 ‘Spirit Of Minnie’ reflects on Varley’s travels with another stripped-down/well-judged instrumental backdrop with a pace that varies as he recounts his story. It’s another delight. ‘The Postman’ is an epic and highly original song with a gathering storm of instruments to play it out ‘Let It Slide’ sustains the high quality and accessibility that dominates tow-thirds of this album and with a song that could so easily be bombing the airwaves. From an ordinary opening this album quickly gathers pace and opens out into something that is moving, highly accessible and beautiful. Varley’s voice, while not unique, has deep expressive qualities that are nothing short of compelling. This album gets better with each listen and deserves a wide audience.